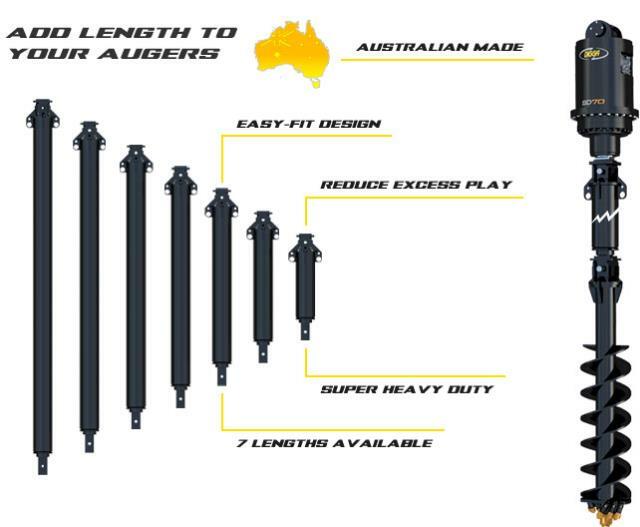 Digga s drilling extension range is the ultimate in quality and cost effectiveness. Manufactured inhouse by Digga using only the highest grade materials and strictest quality control. The X0100HD range of extensions is suited for machines up to 30 tonnes.